How did this happen? You got a nice loan, and suddenly you are scrambling to pay debt after debt. You may have had a reasonable plan, but it all backfired with short payback time and unexpected fees. It sounds like you made the mistake of borrowing a payday loan. Payday loans are scams to keep you in debt, they are tough to get out of but not impossible to leave. One method Exit Payday Loan specialists use is debt consolidation. How is your spending? Budget is important, especially now that you have a difficult goal to work for. The critical factor that debt consolidation utilizes is a reasonable payment plan. Payday loan companies put you in a position that is hopeless, but with payday loan help companies you can leave them. Through debt consolidation or with techniques like debt settlement, we can help you escape payday loan debt. We have a team of people who are experts at assessing income and costs. With our help, you can get your finances under control, and if that isn't enough, we will consolidate your debts. It is possible for a group of professionals to get a creditor on board with a different payment plan. Through this new program that Exit Payday Loans can get for you, financial security is within reach. When under the guidance of Exit Payday Loans letters, calls, and emails will cease to bother you about your looming debt crisis. As a payday loan help company, we ensure that they quit harassing you with constant reminders. Payments will be monthly because it is enough time to save up without procrastinating. Paying small fees with enough time is a process that can be difficult at first, but it eases your worries. Every time you pay you are that much closer to your goal. With payday loan help, you also don't have to despair over interest rates. Eliminating interest fees is part of the debt consolidation process. Debt consolidation is safe and secure. If you are serious about ending your debt, look into asking for help. Massive debt troubles many Americans and payday loan companies are responsible for a good percentage of cases. The reason the numbers are so high is that people rarely look for, or find, the help they need. Exit Payday Loans track record speaks for itself, let us make you one of our success stories. 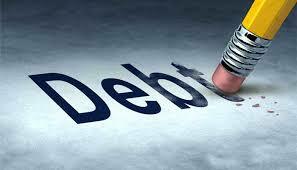 Debt consolidation really works, call for a free consultation today!